If you need a website for your business or online store, our web design team will give you a right solution. You will enjoy 25% off on web design if you use our online merchant service. *Outstanding customer support with Multilingual Support. *Free equipment rental and free supplies. *Deep discount on web design, on-line order and other point of sales systems. No matter where you are, If you have internet access, you may monitor your business. Opening up a Retail Store or Restaurant? Need to take credit cards on your website? Want to accept credit cards by phone for your mail order business? Whatever you need. We have a credit card processing solution perfect for your Business. With our low rate and professional services, you can depend on us to support your business growth.Low Rates: Discount rate start from 1.19%.Fast Approval: Give us 24 hours, you can start take credit cards, approval rate as high as 98%.Free Equipment: As long as you maintain your merchant account with us. You get a free rental terminal.Free Supplies: We offer you free paper, ribbon and other supplies. You only pay shipping cost. New Business? Bad Credit? No Problem! 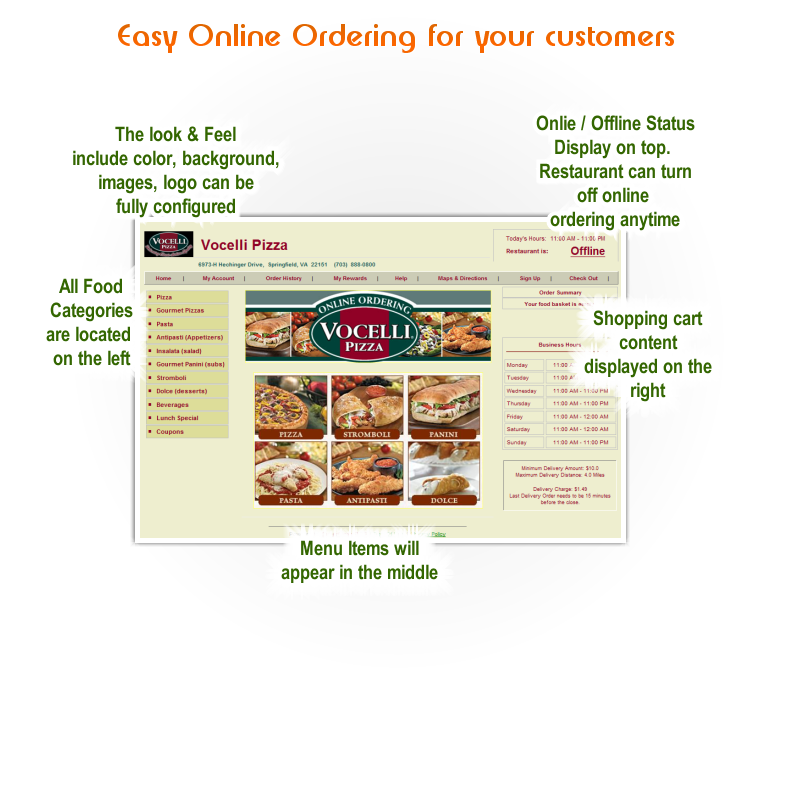 Customer place carry out or delivery orders through your website. 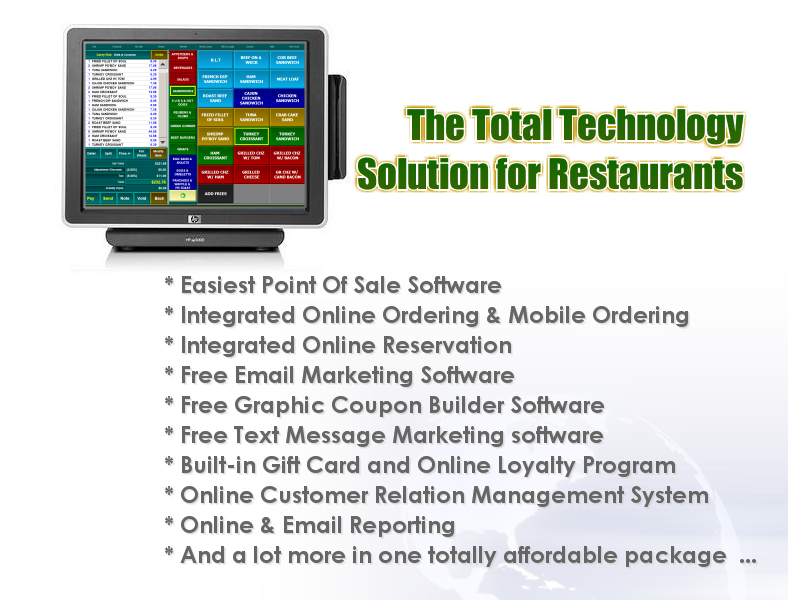 Printer will print out orders in you restaurant. It is fast and save labor cost . One of the fast growing merchant service company of the country, powered by First Data, the global technology and payment processing leader. Business owners can dependent on First Data’s advanced technology, reliable network with QtechPOS’s outstanding customer service, strong IT background for their merchant service needs. All trademarks, service marks and trade names referenced in this material are the property of their respective owners. QTech, Inc. doing business as QTech POS is a registered ISO of Wells Fargo Bank, N.A., Walnut Creek, CA. American Express may require separate approval.